Press Release: The Economic Developers Council of Ontario (EDCO) recognized excellence in economic development initiatives from Ontario communities February 12. Hosted at the Hamilton Convention Centre, the 58th annual Awards Gala was the final event of an outstanding three-day conference. The Gala, in conjunction with the prestigious Presidents’ dinner, gathered over 300 industry leaders who came together to celebrate and recognize the contribution of their peers. One hundred and twenty-nine award submissions were made for projects commencing in 2014 by communities from across the province. Among them, Atikokan Economic Development Corporation (AEDC) was recognized for its efforts in the Heart of the Continent and its Geo-tourism site campaign. 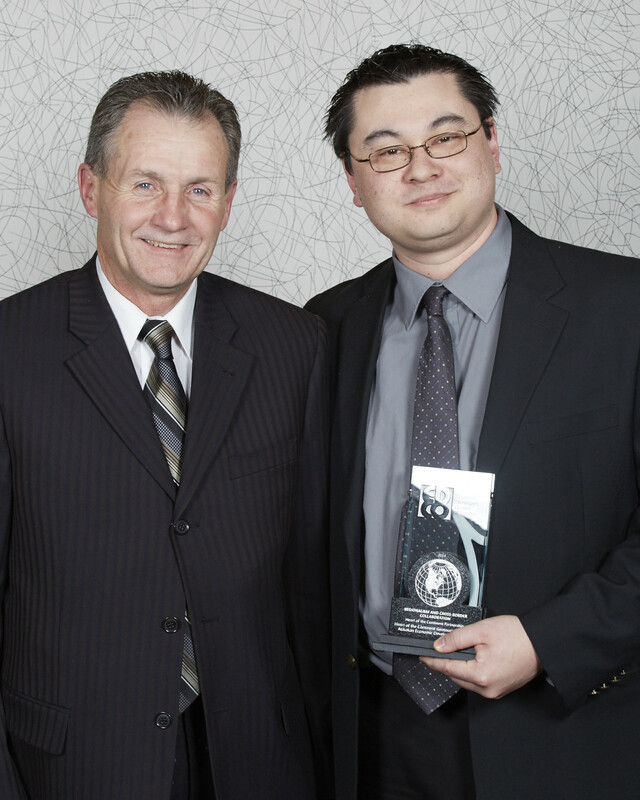 Paul Finley, President of EDCO presents the 2014 EDCO Marketing Award for Regionalism and Cross-Border Collaboration to Gord Knowles of the Atikokan Economic Development Corporation during the EDCO Annual Conference in Hamilton, Ontario in February 2015.